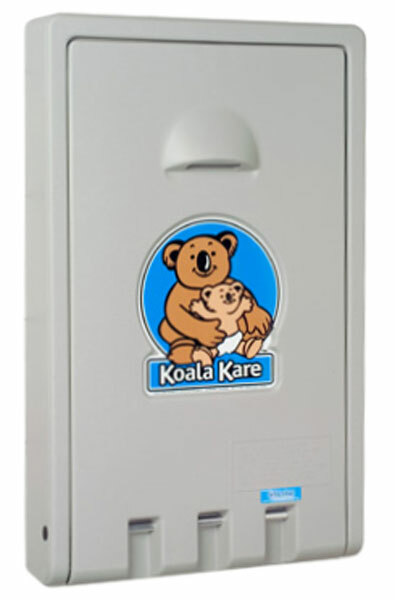 This Vertical Baby Changing Station is made by Koala Kare, a Division of Bobrick. This baby station is verizontal and mounts to the wall. It is constructed of polypropylene and a unibody steel chassis. It can support up to 200 pounds. The full length steel on steel hinges with 11 gauge steel mounting bracket make this unit durable and ensure child protection. The gas spring mechanism helps create a smooth open and close experience. Bed surface has Microban®. which makes the surface antimicrobial, and reduces odor causing bacteria. Liner dispenser cavity holds 20 liners. This unit is constructed of 46% recycled materials, which helps contribute to LEED certified building requirements. Included with the changing station is child protection straps and bag hooks. 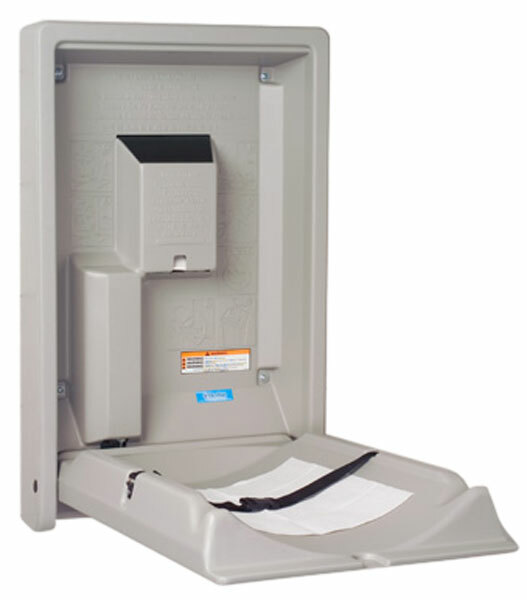 This unit is both ASTM and EN compliant, as well as ADA compliant. Click here to download the specification document.